A legally-armed father protected his two sons and store employees at a Birmingham, Alabama McDonald’s restaurant Saturday night when a masked gunman entered and opened fire. "Right now it appears the victim made a decision that cost his life and the father made a decision that preserved his and children’s' life,'' Sgt. Shelton said. “He’s my hero,” said Markus Washington, one of two McDonald’s employees working at the time, WAFF 48 reports. “Because I can only imagine how it would’ve went if he wasn’t armed. We might not be here having this interview.” Washington and a fellow employee hid out in the store’s freezer during the shooting. The father is not expected to be charged with any crime, Shelton added. There has been some difficulty in running the original JLM video. Here is a link to the video through the Daily Mail. I didn’t want to blind the sow by hitting her in the face so I aimed at her right side to hopefully trip her up to buy me enough time to run inside the house. I waited as long as I could, backpedalling and losing my right Croc, almost tripping me up, until she was just across the driveway and then I shot, which did trip her up so I turned and ran inside the house. The confrontation was inevitable. The bears had claimed the man's property as their own. They refused to be run off by noise. They had been on and off the property for days. JLM has children. JLM dared not allow his children to move outside of the house with the grizzly and cubs asserting territorial rights. Grizzly bear sows with cubs are notoriously unpredictable and dangerous. About half of the well-documented reported attacks have involved risk-enhancing human behaviours, the most common of which is leaving children unattended. Note the deep green asymmetry. Approach a grizzly bear sow with cubs, and the sow is justified in attacking and mauling you. If a grizzly bear or mountain lion attacks your children, you were at fault for "leaving them unattended". The person who was attacked on their property, JLM, gives a good account of what happened, how it happened, and why it happened. Most of these details are left out of media accounts. You can read the full account at the link. Here is a link to the video from dailymail.co.uk. The comments at most media sites are predictable, vociferous, and ignorant. The bear should be protected, not the human. 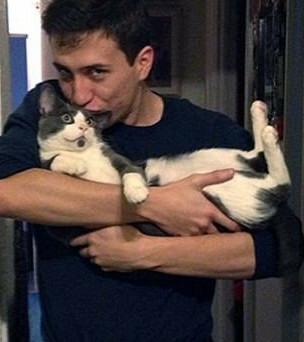 The human should have been killed and eaten. The bears were there before humans were. The last is particularly ignorant, as both humans and grizzly bears colonized British Columbia as the glaciers from the Wisconsinan ice age retreated about 10-15 thousand years ago. The last glacial period in North America is called the Wisconsinan Glaciation, which is divided into the Early (80,000 to 55,000 years ago) and Late (25,000 to 10,000 years ago) glacial stages with an interglacial stage between 55,000 to 25,000 years ago. During the Late Wisconsinan glacial stage, most of Canada and parts of the northern United States were covered by two massive ice sheets, the Cordilleran, which lay to the west of the Rocky Mountains, and the Laurentide to the east. If all bears that threaten humans in a close encounter were killed, grizzly and black bear populations would still increase. A choice has to be made about what level of bear populations humans will tolerate. If bold bears, unafraid of humans, are selected out of the population (killed), there will be fewer human/bear conflicts. A higher population of cautious bears will be tolerated. There are many times as many black bears as grizzly bears. The number of fatal attacks by the two species is about the same. Black bears have been selected to avoid people. Grizzly bears need to undergo the same selection. The more people are propagandized that bears are simply fuzzy people, the more bears and humans will be killed in bear/human conflicts. Humans who live in cities where bears are not a threat are most likely to call for bears to kill and eat humans. Their life and their children are not in danger. Bears are not people. Bears do not think like people. Bears do not have human culture or morals. Thinking of bears as people is dangerous and irresponsible. If you must think of bears as human, think of them as armed human meth addicts. Interesting and attractive at a distance, armed human meth addicts. Bears want what they want when they want it. Bears do not respect property rights. Bears do not care about the lives of other creatures. Grizzly bears, especially, tend to be paranoid and aggressive, by human standards, much like meth addicts. Bears are not human meth addicts. Meth addicts need human society to survive. Bears do not. Bears need to be valued and tolerated by humans to survive near humans. Few people in cities would tolerate armed meth addicts camping in their yard, even if they are interesting and attractive at a distance. Do not expect people, who live where bear populations are increasing, to tolerate bears appropriating their yards as the bears' territory. Deputies were called to a home near Post Falls early Monday morning at about 1:30 am following the shooting. The Sheriff's Office says the intruder broke into the home and was shot and killed by the homeowner. BYNG, OKLA. (KXII) UPDATE #3: Pontotoc County Sheriff John Christian says, according to the Oklahoma State Bureau of Investigation, shooting suspect Zachary Perkins has been released from custody. OSBI interviewed Perkins earlier on Saturday. Perkins is claiming self-defense in the shooting and claims there are witnesses. OSBI will interview those witnesses before proceeding with its investigation. The woman was at the bar when the man showed up and started yelling at her, telling her he was going to kill her, Spencer said. The man made a motion as if he was pulling out a weapon, the and woman pulled out hers and opened fire, fatally wounding him, Spencer said. It wasn’t clear if the man was armed. The robber told the homeowner to get on the ground before taking money from his pockets. The robber was looking to steal firearms, but the victim was able to convince the robber to not take the weapons. When the robber drove away in a white four-door vehicle, the victim grabbed a gun and fired shots at him. It is unknown if the suspect was hit. Police have not said how the deadly shooting unfolded inside the home. However, they do say the intruder was shot and killed. He hasn't been identified yet. Officials also confirm a woman who lives in the home with her husband was shot. She was taken to a local hospital with non life-threatening injuries. Her husband was not harmed. Officers said a short chase started after the woman yelled out her window. According to investigators, the 22-year-old driver was shot during the chase by the 24-year-old female passenger. The driver died from his injuries. Police said the woman who pulled the trigger was in a relationship with the victim. The homeowner called police to say he shot at the black bear that was attacking his goats inside the pen. “His wife had woken him after hearing a commotion in the goat pen. The homeowner ran outside, heard the goat screaming and saw the bear attacking the goat,” police posted on Facebook. A woman shot and killed her suspected kidnapper as he was fleeing officers with her and a baby in the car, police said. Fairfield police say the woman was in a car when she tried to get the attention of an officer, saying she was being assaulted and kidnapped. "We know that the perpetrator fired at least four shots. We found four spent shell casings in the take-out area by the front door," said Philadelphia Police Chief Inspector Scott Small. "We know that the store owner who was behind the counter fired at least three shots." Initial reports were that no one was shot, but a check of local hospitals revealed that the suspect had actually been shot in the chest and taken by car to Albert Einstein Medical Center. Sheriff Terry Langley says a few hours earlier the 911 center received a call of a burglary at this nearby home. The sheriff said Chappell had loaded the ATV with chainsaws, gas cans, a rifle, and more after breaking into this barn. The sheriff says the homeowner was awoken by a loud noise when Chappell rammed his way out of the barn on the ATV. “He looks out he sees his barn door has been flattened and he sees an individual standing beside his ATV. He retrieves his handgun a nine millimeter. He opens the window and fires three shots. The suspect jumps back on the ATV, leaves the scene and is found later dead,” said Sheriff Langley. Bolsonaro Wins! What is happening in Brazil, and How it is similar to the U.S.
With more than 92 percent of the votes counted, 55.6 percent supported Bolsonaro, compared to 44.4 percent for leftist Fernando Haddad of the Workers' Party, according to the Supreme Electoral Tribunal. Final results were expected later Sunday. AP calls this a "commanding lead". It is mathematically impossible for Jair Bolsonaro to lose, if these numbers are correct. 55.6% of 92% = 51.1% of the vote total. Many Brazilians do not trust the vote counting. Perhaps AP is justified in waiting for the final count later today. Jair Bolsonaro has been demonized as an authoritarian, anti-democratic figure, much as Donald Trump has been in the United States. In spite of the media demonization, he has won the Presidency. Popular Youtube commentator, Paul Joseph Watson, interviewed Filipe G. Martins, a Brazilian professor of International Politics. Martins works at the U.S. embassy and is Director of International Relations of the PSL, Bolsonaro's party, which now is one of the biggest parties in the Brazilian legislature. The interview provides balance to the leftist media portrayal. The video below is a little over 30 minutes long. I was fascinated by this view into Brazilian society and politics. Martins speaks English well, but he is not a native speaker. Martins explains a situation amazingly similar to what has happened in the United States. The Left in Brazil completely dominates Brazilian Media, academia, and popular cultural institutions. Conservatives in Brazil had no voice. As the Internet spread, and social media developed, conservatives developed voices on those platforms to allow them to organize and to respond to the overwhelming leftist control of the information flow in Brazil. 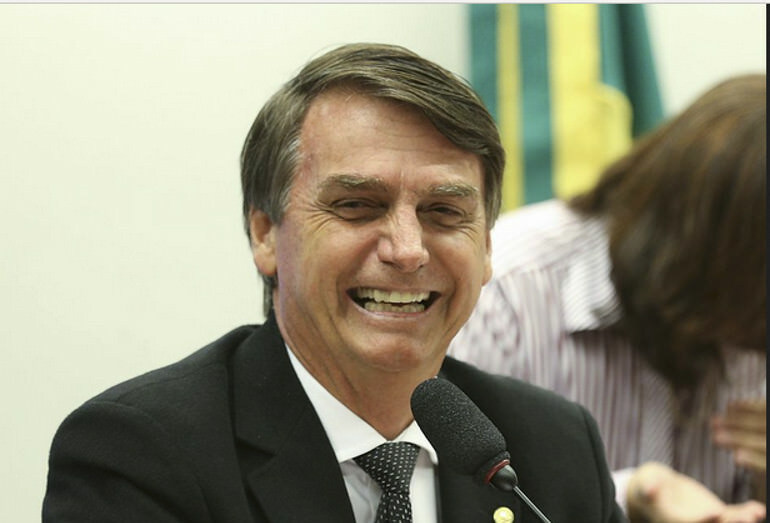 In effect, Bolsonaro has been fighting against the entire elite establishment in Brazil. It is very similar to Donald Trump fighting against the entire elite establishment in the United States. With a huge change in the legislature, and with Jair Bolsonaro as President, there may be large policy changes in Brazil. One of those will likely be to reform the ultra restrictive gun laws in Brazil. The current laws make it very difficult to own a gun. Even if you legally own a gun, you are restricted to a total of 50 cartridges per year. Reforms would make guns much easier to own, carry, and use for self defense. Up to 100 rounds of ammunition per year, per gun, would be allowed. Reforming the gun laws was a major part of Jair Bolsonaro's political platform. If the extremely high murder rate started to fall as the access to legal firearms increased, reforms could have a positive feedback loop. The gunfight happened in the early morning hours of 17 August, 2018. The location was 867 Bootlegger Lane in Yoakum, Texas(edit). Yoakum is a small town in Texas, about half way between San Antonio and Houston. There was "bad blood" between Dakota Wayne Kirkman, 19, and Manuel Martinez III, 36. The men lived about 22 miles apart. Yoakum is in DeWitt County, Texas. Kirkman and his girlfriend lived in Hallettsville in Lavaca County, Texas. Dakota did not want his live-in girlfriend to hang around Martinez and his wife. His girlfriend, Martinez, and Martinez' wife were at Martinez' house when Kirkman came to bring his girlfriend home. Kirkman arrived in his truck. He had a singleshot .22 rifle and one cartridge, loaded in the chamber. Kirkman and Martinez got into a verbal altercation. The Sheriff reported that alcohol was involved. The altercation escalated into a gunfight. Cartridge cases found at the scene indicated that Martinez fired 15 shots from an AR15 type rifle and 12 shots from a .40 caliber pistol. Most of the action seems to have happened while Kirkman was in or around his truck. 13 bullet holes were found in the truck. 11 of the bullet holes were from .223 cartridges. Two of the bullet holes were from a .40 caliber pistol. 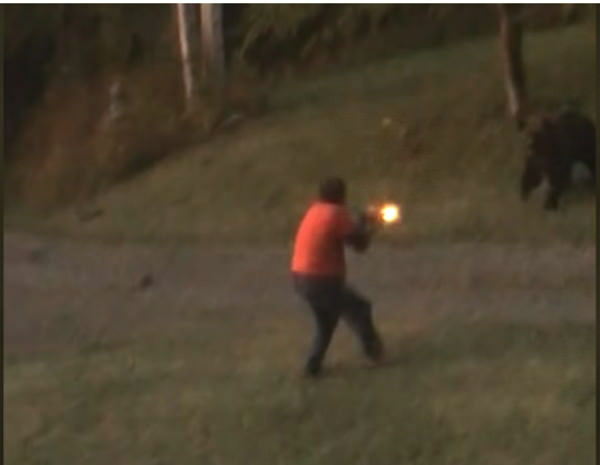 Kirkman is recorded as firing one shot from his single shot .22 caliber rifle. The shot struck Martinez in the chest, killing him. When law enforcement made it to the location, a man was found lying in the front yard with an apparent gunshot wound. The initial investigation indicated an ongoing tension between the deceased and the alleged shooter. The murder weapon was a .22 rifle. DeWitt County Justice of the Peace, Pct. 1, Peggy Mayer was called at 3:08 a.m. and later announced Martinez dead at the scene. “This is a tragic loss of life, and our hearts go out to Martinez’s family,” DeWitt County Sheriff Carl Bowen said in a press release. According to Bowen, there was an altercation and an exchange of gunfire between two men. Kirkman left the location on Bootlegger Lane with his girlfriend and ended up at their home at 32 Private Road 4006 in Hallettsville. Kirkman was taken into custody without incident. Dakota Kirkman was held at the DeWitt County jail for 55 days. Bail was set at $500,000. 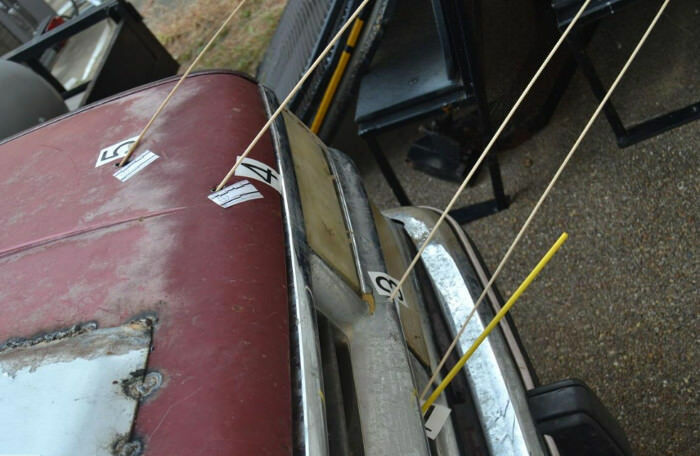 Investigators documented 11 bullet holes made by a .223-caliber rifle and two from a .40-caliber pistol. An AR-15 and .40-caliber pistol were found near Martinez’s body along with 15 rifle and 12 pistol casings. One of the bullets passed through the truck’s frame near the driver’s seat belt fastener, said Lassmann, who added if Kirkman had not been crouching in his seat, he likely would have been shot. “(Kirkman) must have been scared to death,” Lassmann said. The number of bullets fired by Martinez stood in stark contrast to the single, fatal shot from Kirkman’s antique, bolt-action .22-caliber rifle. Additionally, evidence showed Kirkman went to the home on Bootlegger Lane with only a single round chambered in his rifle and no other ammo in his vehicle. That contrast further emphasized the likelihood that Kirkman acted in self-defense, Lassmann said. There is a great deal about this story we do not know, and may never know. Did Dakota shoot from inside of the truck, or did he take cover outside of the truck? What were the lighting conditions? How impaired with alcohol or drugs were the participants? While the Sheriff says that alcohol was involved, at least on commenter at the Victoria Advocate claimed alcohol was not involved. How far apart were the adversaries? It has been reported the women involved were inside while the gunfight occurred outside. The only surviving eyewitness to the events appears to be Dakota Wayne Kirkman. There are lessons to be learned from this incident. First, avoid confrontation if possible. While Dakota Wayne Kirkman survived, the odds are he wished it could have been avoided. Second, any gun can be deadly in a gun fight. Do not disparage the .22 rimfire. Every game animal on earth, including elephants, has been killed with .22 rimfires. Many, many humans have been killed with .22 rimfires. Third, if possible to do safely, stay at the scene of a shooting until the authorities arrive. Leaving the scene may be taken as an admission of guilt. If you cannot stay safely, contact the authorities as soon as possible. Fourth, an arrest for murder does not mean a murder was committed. The grand jury found this to be a clear case of self defense. In an update issued today, OSP identified the dead man and the shooter in an apparent altercation on Foothill Boulevard on Wednesday. The man killed in the incident has been identified as 58-year-old Robert Barry of Washington state. The male resident who claimed to have fired in self-defense was 77-year-old Alan Frost. Cody T. Brooks was shot Sept. 6 by Brian Eugene Ellison, 53, after Brooks approached him while carrying a knife, threatened him, made bizarre statements and grabbed him by the neck, according to reports. Brooks was found dead in the road. Investigators found the knife and two spent bullet casings nearby. “Given all the facts and the forensic analysis of the crime scene that corroborated the homeowner's version of events, we believe this case appeared to be self-defense,” Kitsap County Chief Deputy Prosecutor Chad Enright said Thursday. Appearing belligerent and somewhat cocky, Cerf responded by asking Dawn and Troy what they were doing, she said. "Then he tried telling us his girlfriend had the deed to the house and that he was allowed to be there." At that, Dawn turned around and reached into Troy's car for his handgun, which she aimed straight at Cerf while commanding him to get on his knees with his hands up. Cerf immediately complied. The boys – ages 10, 12 and 14 – were quick to react when their parents were on the ground wrestling outside their home, and the man dropped the gun. One of the boys picked up the pistol and emptied it of its ammunition, while a second son grabbed another gun in the house and used it to get their father off of their mother, authorities said. "I think those kids are very brave," Sheriff Tony Mancuso said in a telephone interview with The Associated Press. LINCOLN COUNTY, Ga. (WRDW/WAGT) -- Earlier this month, the defendant in this case, Samuel Bradford Gray, was gound not guilty in the shooting death of Derrick Brandon Smith. Samuel Bradford Gray, 21, was arrested on a murder charge. A GBI release states authorities were called to a shooting on Fleming Lake Court around 12:20 a.m. on Friday. The victim said he fiercely fought with the suspect, who was armed with a handgun, which fired and struck the intruder, according to deputies. THOMASVILLE, Ga. (WTXL) - An attempted armed robbery in Thomasville did not go as planned when the intended victim pulled out her own gun and refused to hand over her purse to the would-be robber. Followup FL: Larry Ray found to have been justified in Shooting of Jack Merriman Jr.
Ray called 911 and was talking with an operator when Merriman came back inside the home and grabbed a knife. Close warned Ray that her son had a knife. Merriman went after Ray with the knife and Ray shot Merriman, the report states. Arnold noted that Merriman was shot in the chest, side and back. In a few days, on 28 October, 2018, Brazilians will vote to elect a president. Brazil has a complicated election system. An election was held on 7 October, and this is the runoff election. (Bloomberg) -- With former Army Captain Jair Bolsonaro on the cusp of winning Brazil’s presidency, his allies in Congress plan to deliver on his campaign promise to ease the country’s restrictive gun laws as early as this year. Gun ownership is one of the flagship campaign pledges of the former paratrooper, who regularly greets his fans by cocking his hands in a gun-shaped salute. Way ahead of his rival Fernando Haddad in opinion polls, Bolsonaro is on course to be elected Brazil’s next president on Oct. 28. The gun laws in Brazil have been made more and more restrictive since the 1980's. The latest, most restrictive laws were put into effect in 2003. In 2005, Brazil held a referendum on the legal ownership of guns and ammunition. While the referendum was pushed hard by the media and elites, it was defeated with 67% of the vote. Rebecca Peters, the protege of George Soros, who organized much of the effort to put the Australian gun ban in place in 1996, pushed hard for the gun ban in Brazil. Brazil has one of the highest murder rates in the world. The murder rate has more than tripled as the gun laws have become more and more restrictive. In the United States, the opposite has happened. The murder rate has dropped in half as the gun laws have become less restrictive, at least as far as carrying guns in public. Between 1980 and 2017, the United States incrementally restored Second Amendment rights while the number of guns owned per capita increased from .75 to 1.25, or 67%. Brazil took the opposite approach, placing numerous restrictions on gun ownership. Presidential frontrunner Jair Bolsonaro is ready to try a different tack. Emulate the United States, to some extent, and recognize Brazilian's right to armed defense of self and property. There is strong support for this approach in the Brazilian legislature. Reforms could be passed as early as this year. Brazilians are fed up with high crime and murder rates. Many wish to be able to defend themselves against armed criminals. Remove the ability of the police to arbitrarily deny a permit to own a gun. Reduce the minimum age for gun ownership from 25 to 21. (Brazilians can vote at age 16, and are required to vote at 18). Allow ordinary gun owners to own up to six guns. Allow gun owners to obtain a hundred rounds of ammunition per year per gun. Brazil appears ready to return to an era where it trusted its law abiding citizens with arms. In a few years, we will know if the murder rate will start dropping to the level of that era. In an update provided Wednesday, police said Nesbitt and Stewart were involved in a domestic argument that turned violent and Stewart shot and killed Nesbitt. Authorities say a Stewart then began threatening a third person who was on the scene. That person eventually shot and killed Stewart during the incident. The shooting happened around 12:40 a.m. at a house in the 2400 block of Harlan Street. Witnesses told IMPD investigators that an armed man knocked on the door, and when the homeowner answered, he was shot multiple times. The homeowner chased after the man, firing back. The shooter escaped on foot or in a vehicle, police say. It’s unknown if he was shot. Rogers said a man walked into the Kroger and fired multiple shots at another man in the store. That man died at the scene. According to Rogers, the suspect then left the store and shot and killed a woman in the parking lot before an armed citizen pulled out a weapon and exchanged fire with him. Neither the suspect or the citizen were injured in that exchange. A clerk foiled a robbery Tuesday afternoon at Smithgall’s Pharmacy in Lancaster city by shooting one of two alleged robbers, hitting the man several times, police said. The other alleged robber, who was wearing a black mask and black clothing, fled the West Lemon Street pharmacy and remained at large at last report Tuesday. Those sources said an intruder shot through a hotel window, entered the room, and shot the victim in the leg. Those sources also say that the victim returned fire. Police confirm that the suspect may have been struck twice. Investigators say the shooting is an active investigation. The Bronx bodega owner who shot dead a robber is not expected to be charged, police said Monday. The 43-year-old owner of the J Market on Morrison Avenue in Soundview, identified by law enforcement sources as Jin Jie Chen, was questioned by police and later released following the 10:30 p.m. Sunday incident at his store, cops said. Chen — a legal gun owner — quickly called the police after shooting 32-year-old Daniel Meeks in the head when the thief jumped over the store counter to rob him, police said. Kirkman fired a single shot from a single shot .22 rifle during the gunfight. The 13 bullets that riddled the pickup of a Yoakum man initially charged with murder were powerful evidence of self-defense for grand jurors, a district attorney said. “That kinda clinched it,” said District Attorney Rob Lassmann, who serves DeWitt, Goliad and Refugio counties. After reviewing the case’s evidence, grand jurors chose to clear Hallettsville resident Dakota Wayne Kirkman, 19, of all criminal charges during a specially convened session Oct. 11, Lassmann said. The homeowner, Lori, says she was getting ready to leave her house for the day when she heard someone banging on her window, trying to break in. She says that, by the time she got her gun and came back to check, there was a woman coming through the window with a hammer in one hand and a gun in the other. ATHENS, Tennessee (WDEF) – McMinn County investigators say a suspected burglar was shot by a property owner on Sunday. It happened around 10 AM at property on County road 675, south of Athens. Deputies found 36 year old Donnie Hicks had already been shot and was being held at gunpoint by property owner Micheal Beverly. 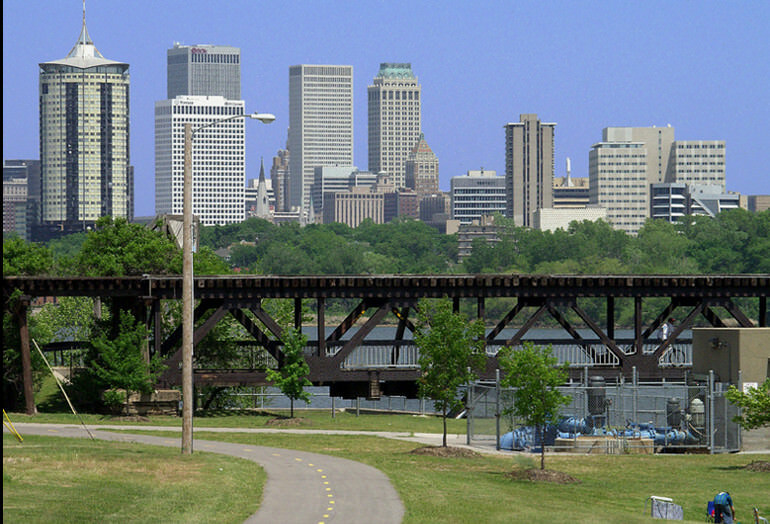 The Gathering Place is a large, 66.5 acre recreation area that recently opened in the City of Tulsa, Oklahoma, on the bank of the Arkansas River . Numerous news articles have referred to The Gathering Place as a public park, created with donated funds. Public parks in Oklahoma are not allowed to infringe on the exercise of Second Amendment rights any more than is currently allowed under Oklahoma state law. Oklahoma has a strong preemption statute to prevent such infringements. A. 1. The State Legislature hereby occupies and preempts the entire field of legislation in this state touching in any way firearms, components, ammunition, and supplies to the complete exclusion of any order, ordinance, or regulation by any municipality or other political subdivision of this state. Any existing or future orders, ordinances, or regulations in this field, except as provided for in paragraph 2 of this subsection and subsection C of this section, are null and void. b.allowing the municipality to issue a traffic citation for transporting a firearm improperly as provided for in Section 1289.13A of this title, provided however, that penalties contained for violation of any ordinance enacted pursuant to the provisions of this subparagraph shall not exceed the penalties established in the Oklahoma Self-Defense Act. 3. As provided in the preemption provisions of this section, the otherwise lawful open carrying of a handgun under the provisions of the Oklahoma Self-Defense Act shall not be punishable by any municipality or other political subdivision of this state as disorderly conduct, disturbing the peace or similar offense against public order. B. No municipality or other political subdivision of this state shall adopt any order, ordinance, or regulation concerning in any way the sale, purchase, purchase delay, transfer, ownership, use, keeping, possession, carrying, bearing, transportation, licensing, permit, registration, taxation other than sales and compensating use taxes, or other controls on firearms, components, ammunition, and supplies. The management has enforced this rule using park security and local police. TULSA, Okla., (KTUL) — Since the Gathering Place opened last month, some have criticized the park's strictly enforced rule not to allow guns. Today. a group rallying for a change to the law was met with protesters on the other side of the issue. And the issue is allowing guns inside Tulsa’s renowned mega park. “The Gathering Place is completely ignoring state law," said Spencer. The topic came to light when several open-carry gun advocates were asked to leave the park last month. In the video associated with this article one officer seems to be claiming that the Park is private property. Officially, park management has dodged direct questions about who owns the park, the public, or some unnamed private party. It should be simple to access public property records in Tulsa, and see who is listed as the legal owner. There are many legal advantages to public ownership. One of those would be avoidance of property taxes. Many entities attempt to gain the advantages of private ownership with the perks of public ownership. As I recall, in Arizona, a municipality tried to ban guns in a municipal area by "leasing" it to a private entity, which then banned the carry of guns there. It did not work. But if a lease is for a short period, where control of the area is maintained by barriers and security, it might be allowed. It looks like the courts will have to decide whether the Gathering Place was actually donated to the City of Tulsa as referenced in several news stories; as the largest private gift to a public park in U.S. history. If public property can be leased to private entities, which then can prevent the exercise of Constitutional rights, a path is opened to squeeze the exercise of those rights into effective non-existence. The Tulsa Police Department will not be required to enforce a Gathering Place policy that bans open and concealed carry of firearms on its premises, according to the City Attorney’s Office. An attorney representing the city expressed concern over possible litigation against the city if officers actively participated in removing patrons who violated the park’s rule. A Bend man shot and killed his next-door neighbor who entered his house early Saturday and awakened his roommate, then left, returned and fired several rifle shots through the living room window, killing the roommate, Deschutes County District Attorney John Hummel said Monday. He said the neighbor then went back inside and was "methodically hunting down" the man, who ran upstairs to hide, grabbed his handgun and fatally shot him. The owner told police he saw two men inside and fired three shots at them from a .45-caliber semiautomatic pistol, but missed. Reports said video showed three men inside, one with a pry bar, which they used to take $500 from the cash register. The admitted shooter, 23-year-old Larico Nelson, surrendered his legally-owned pistol to police officers and gave a full statement to detectives at South Precinct on Monday morning. He told police that he shot Stewart out of self-defense and was not arrested. Several Oregon counties have referenda on the ballot to re-enforce protections for Second Amendment rights. The movement to re-enforce the Second Amendment protections started in 2013, in Wallowa County. Similar referenda have passed in four counties, Coos, Curry, Wallowa, and Wheeler. Wheeler and Coos county passed their ordinances in 2015, Curry county passed a similar ordinance in 2016. In 2018 ten counties have Second Amendment protection referenda on the ballot. These are: Baker County (measure 1-84), Columbia County (measure 5-270), Douglas county (measure 10-165), Jackson county (measure 15-181), Klamath County (measure 18-110), Lake County (measure 1-84), Lincoln County (measure 21-189), Linn County (measure 11-174), Umatilla County (measure 20-128), and Union County (measure 31-96). The passed and proposed referenda may be read at the cooscountywatcher.com. The measures are similar. They assert the primacy of the U.S. and Oregon constitutional protections of the right to keep and bear arms and the Ninth, Tenth, and Fourteenth amendments to the U.S. Constitution. There are several variations. 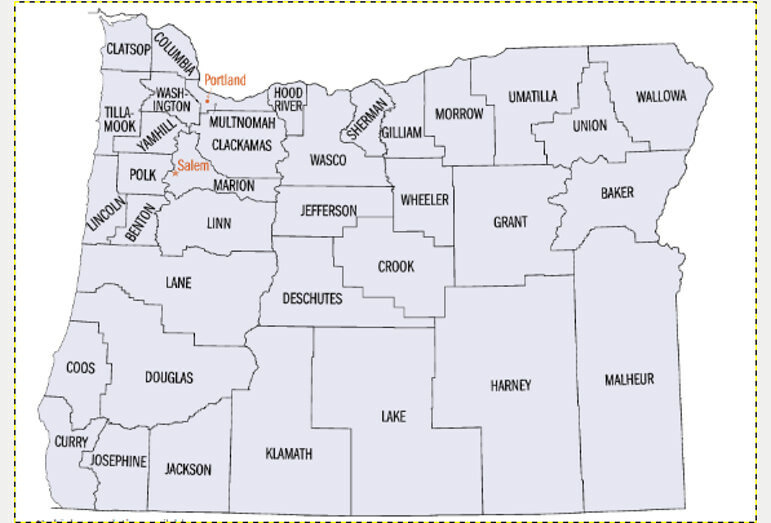 The Oregon Constitutional protection is in Article 1, Section 27 of the Oregon Constitution. Approval of this measure would mandate that in Union County, the Oregon and United States Constitutional definitions of firearms be interpreted as including ammunition and firearms accessories. Approval of this measure would make unconstitutional in Union County any law or regulation that restricts a person from possessing firearms, ammunition, and firearms accessories. Approval of this measure would require the Union County Sheriff to review federal, state, and local laws affecting firearms, firearms accessories, and/or ammunition and determine whether they violate the United States and Oregon Constitutions as defined by this measure. Approval of this measure would prohibit Union County Government from enforcing any law that restricts the right of people to possess firearms, firearms accessories, and/or ammunition. And approval of this measure would subject people or corporations who violate this measure to a fine of up to $2,000 for an individual and $4,000 for a corporation. Counties are created by, and are creatures of state governments. These referenda could be overridden by the state legislature. They serve notice, however, of the willingness of the counties to fight such legislation in the courts. They serve as a way for rural voters to give legislators notice of their willingness to protect Second Amendment rights. The desire to restrict Second Amendment rights is tepid, fueled by media spin. Support for the Second Amendment is deep seated in culture, tradition, and life experience. The referenda may give state legislatures pause in passing restrictive legislation. The Oregon pre-emption law currently prevents local governments from passing laws that are more restrictive than state law, not referenda protecting Second Amendment rights. Similar activism is ongoing in Illinois counties. NORTH LITTLE ROCK, Ark. (KTHV) - On Friday, Oct. 19, at approximately 5:30 p.m. the owner of the residence at West Short 17th Street call 911 to advise that someone was attempting to break into the home. As the 911 dispatcher was speaking with the homeowner, information was received that a shot had been fired. Officers responded to the residence and located a female in the backyard deceased from an apparent gunshot wound. Police say one man tried to rob another man at gunpoint and shot him. In an attempt to help the robbery victim, another man present at the bar shot the suspected robber. That man is licensed to carry a gun. The woman tried to stop him, but was punched in the face. Deputies say after several minutes of fighting, the suspects ran off with prescription medication they stole from the home. 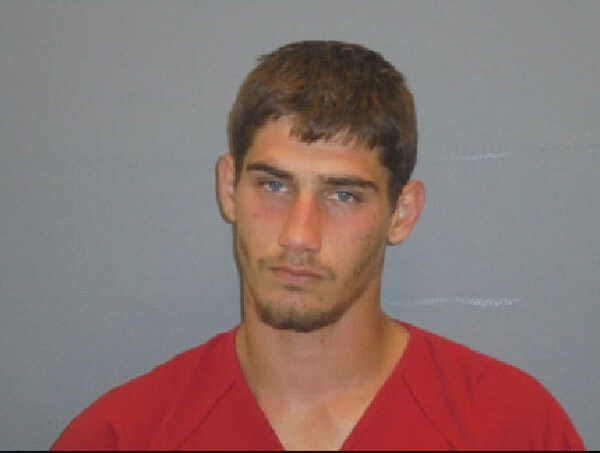 The victim grabbed his shotgun and started to chase Stevison and Bennett. He fired two shots, but didn’t hit them. Gordon, with gun in hand, urged his neighbor to leave. Gordon said Farrigon walked away but returned so he fired a second shot. On 3 October, 2018, Michael Dunn shot and killed Christobal Lopez, during a struggle where Lopez was attempting to steal a hatchet from Dunn's Vets Army Navy Surplus store. The store is located in Lakeland, Florida. 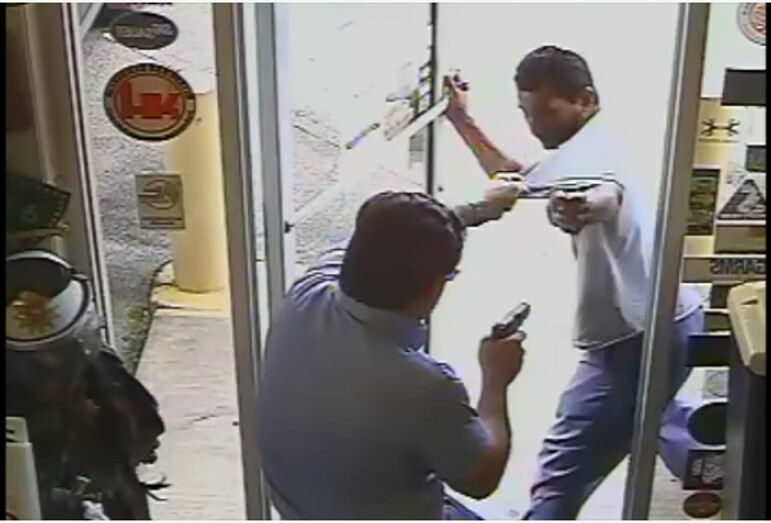 Still pointing the gun at Lopez, Dunn tries to grab Lopez’s shoulder from behind with his left hand as Lopez makes it out the door, the video shows. Dunn’s hand slips off Lopez’s shoulder but Dunn is able to grab a fistful of the man’s t-shirt. Lopez raises his left arm in an apparent attempt to break free, and then Dunn appears to fire. Lopez falls to the pavement just outside the door. He appears to shake for a moment, then lies still as Dunn keeps the gun trained on him. At the moment Dunn fires, Lopez is holding the door with his right hand and appears to be holding an object in that same hand. It’s unclear if the object is the hatchet that Lopez is suspected of trying to steal when he was shot. (2) A person is justified in using or threatening to use deadly force if he or she reasonably believes that using or threatening to use such force is necessary to prevent imminent death or great bodily harm to himself or herself or another or to prevent the imminent commission of a forcible felony. Shoplifting is not defined as a forcible felony. Note the standard in the statute is subjective, based on what the defender knew and reasonably believed at the time. You can see the hatchet that was being stolen in the frame from the video below. If you watch the video frame by frame, it is clear the hatchet came from Lopez hand, and was not placed there afterward. Under Florida law, a person is not justified in pointing a firearm at another person unless they are in reasonable fear of death or serious bodily injury. The defense in this case may be that the store owner, Michael Dunn, had a reasonable fear for his life when confronting Christobal Lopez, who was armed with a deadly weapon, the hatchet, which he was stealing from the store. I am not a lawyer, but it seems reasonable to me to have a firearm pointed at a person who is armed with a deadly weapon, who is stealing from your store. Michael Dunn was taking a considerable risk in attempting to stop Christobal Lopez from leaving the store with the stolen hatchet. If store owners simply allow thieves to steal without consequences, they may be forced out of business. People will ask if a hatchet is worth a man's life. That question could be asked of both thieves and store owners. Others may ask if a man's livelyhood is worth defending. NEWTON — A Hickory man will not face charges after shooting a Connelly Springs man during a roadside confrontation, according to a release from District Attorney David Learner’s Office. Joseph Mark Harrison, 58, shot Joshua Max Barnes, 21, after Barnes reportedly punched him several times on Oct. 4. Michael Drejka returned to court for a pre-trial hearing Friday. Drejka is out on bond after being charged with manslaughter for the shooting death of Markeis McGlockton following a confrontation over a handicapped parking space outside a Clearwater convenience store last August. Defense attorney Lysa Cofton is no longer on the case. Drejka filed an affidavit saying she solicited him to be his attorney during a visit to the Pinellas County Jail shortly after he was arrested. In the document, Drejka says she refused his request to withdraw from the case. A 20-year-old man claimed he shot his father twice Saturday to protect his mother. A man broke into a Wilson Borough apartment and attacked the armed homeowner, taking the gun and threatening to shoot her, borough police said. Authorities on Friday identified a man who was fatally shot in Temple Hills, Md., after he allegedly broke into a neighbor’s home. The man who died was David William Taylor Sr., 55, who lived in that area, according to police in Prince George’s County. Police said the incident happened just after 8 a.m. Wednesday in the 4300 block of 23rd Place. Police found Taylor unresponsive with a gunshot wound in a backyard. He was pronounced dead on the scene. The owner of the lab came out of his house and tried to help. Wood said she heard his wife yelling from the house to get the gun. The man warned Wood that if she didn't hurry and get her dog off of his, he'd get the gun. At this point, Wood said she'd been trying to pry Kenta from the other dog. She was bitten several times in the process, although she's not sure by which dog. The man got his gun. "He said, 'Move over, lady,'" Wood recalled. She said he then fired three shots at Kenta's head. A 71-year-old man shot and wounded a man Thursday who Chicago police said was trying to break into his South Side home. A 30-year-old man is in critical condition after a concealed carry license holder shot him Wednesday afternoon after he saw him brandish a gun while he was yelling gang slogans in the McKinley Park neighborhood on the South Side, Chicago police said. About 12:25 p.m., the concealed carry license holder was traveling in a vehicle in the 3600 block of South Paulina Street when he encountered a 30-year-old man who was standing on a corner yelling gang slogans, the police said. CLARKSVILLE, IN (WAVE) -- A violent domestic dispute between a man, a woman and her daughter ended in gunshots when a neighbor stepped in, potentially saving a life. The shooting happened around 10 p.m. Tuesday night at the River Chase Apartments on Harvard Drive in Clarksville. Police said the man accused of battery is the one who ended up dead. NICHOLS HILLS, Oklahoma - The homeowner who shot a would-be burglar was justified in the shooting, the Nichols Hills police chief told News 9. The chief said he spoke with Oklahoma County District Attorney David Prater Wednesday morning and it was determined the homeowner was justified in using force to protect his family. ALBUQUERQUE, N.M. — The man shot and killed while breaking into a foothills home earlier this month has been identified as 22-year-old Clayton Jenkins. According to a search warrant affidavit filed in 2nd Judicial District Court, around 5:30 a.m. on Oct. 4 a woman called police to say her boyfriend, Christopher Rivera, had shot a man who was breaking into their home in the 400 block of Avital NE, near Tramway and Copper. She said the man was now lying in the driveway. Deputies said they responded to a domestic dispute between a man and woman at 10:40 p.m. in the 2500 block of 10th Ave. When law enforcement arrived, they found a woman with a gunshot wound to the leg and a man with lacerations from a knife wound. On October 10th, 2018, at about 5:30 a.m. at 522 Hathaway, in Owensboro, Kentucky, a young police officer was involved in a shootout with an armed homeowner. The officer had been chasing a suspect, and was searching a fenced in area. “I heard some commotion over there by the fence," said Turley. “I saw someone standing there with a flashlight on the ground, so I walked over to see what was going on. As I got closer, POW POW! And when he did, I had my weapon by my side and I just pulled up and fired and I started toward the ground to take cover." Turley told Katie Kapusta that he was shot at twice and returned fire four times. He had no idea anyone had been hit until more police units arrived. Fortunately, Turley was not hit. The fact that Turley is not facing any charges in the case shows the culture in the United States is re-normalizing the role of armed citizens as legitimate. Armed citizens defending themselves and their homes was common and accepted in the 1930's and before. In "Rise of the Anti-Media: In-Forming America's Concealed Weapon Carry Movement", Dr. Brian Anse Patrick relates numerous newspaper reports of homeowners using firearms for defense in articles of the time. It was during the mid-1960's, with the rise of the civil rights movement, that the media coalesced in demonizing citizen ownership of firearms for self defense. President Lyndon Banes Johnson was able to marshal support for federal legislation attempting to limit access to handguns for self defense. The media pushed very hard for the legislation, resulting in the compromise Gun Control Act of 1968. The legislation was enacted on the heels of the assassination of Martin Luther King and Robert Kennedy. With the movement to shall issue concealed carry permits in the late 1980s to the present, self defense with firearms has been re-legitimized. Officer Morris lost sight of the fleeing suspect behind some houses in the 500 block of Hathaway Street. As the officer was checking a fenced-in area at 522 Hathaway, the homeowner of the residence shot at Officer Morris striking him. Officer Morris was wearing a ballistic vest but was struck in the lower abdominal area. He is at Owensboro Health Regional Hospital recovering from emergency surgery and is in good condition. The Kentucky State Police Critical Incident Response Team is investigating the incident. This shows good judgement, as an independent agency is investigating the shooting, not Officer Morris' own department. No charges have been brought at this time. David Turley was questioned by police and released. There have been several incidents over the last few years where innocent people have fired at police officers. Officers have been wounded and killed. Some of the armed defenders have been found not guilty, others were never charged. Respect and support for the exercise of the right to keep and bear arms is increasing in the United States. All but eight states now have either shall issue laws for the carry of handguns, or Constitutional carry, where permits are not necessary to carry handguns for self defense. Armed citizens and police are natural allies. Mutual respect and mutual support results in low crime rates and peaceful neighborhoods. Communication is key. A call to 911 about a prowler in the area might have prevented the confrontation that resulted in Officer Morris' wounding. Clear identification by Officer Morris as David Turley approached might have prevented the exchange of fire. Evidence showed Alex Hackney, 26, reasonably believed Bryan O'Connor, 27, was going to attack him again and possibly kill Hackney and his girlfriend after O'Connor kicked in Hackney's back door, the Marion County District Attorney's Office announced Tuesday. Hackney shot O'Connor once in the chest after O'Connor broke into the home and came after Hackney on Sept. 4. A Dayton man who told police he committed 10 area armed robberies — including a December 2017 incident at an Old North Dayton restaurant during which he was shot — will plead guilty to federal charges by bill of information. A man is facing first-degree murder and robbery charges after his accomplice was fatally shot by a person they tried to rob early Tuesday during a gun deal in north suburban Lindenhurst. At 2:30 a.m., officers responded to calls of a person shot during the robbery at a home in the 300 block of Teal Road, according to the Lake County Major Crime Task Force. When they arrived, officers found a 34-year-old Chicago who had been shot. HOUSTON - The owner of a computer repair shop in northwest Harris County shot a burglar several times Tuesday, according to deputies. The shooting was reported about 12:50 a.m. at the strip mall business on FM 1960 at Hollister Street. 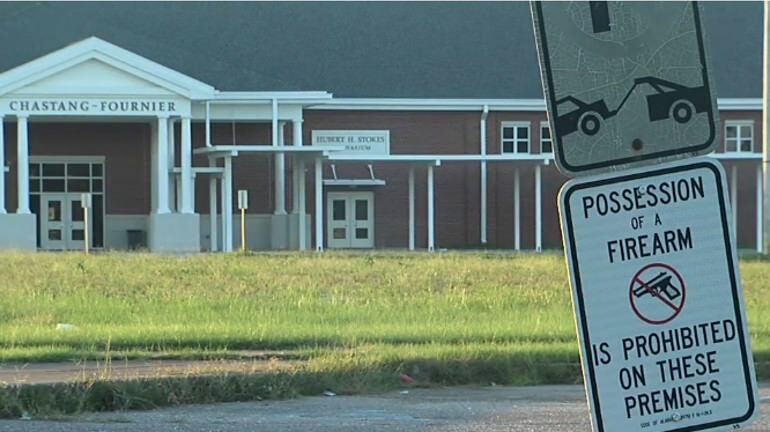 MOBILE, Ala. (WPMI) — A photo of a Mobile middle school student allegedly depicting the student with a gun in a school restroom is under investigation by Mobile police. The picture was posted on Facebook on Thursday October 11. The photo was a allegedly taken inside a bathroom at Chastang-Fournier K-8 in the Trinity Gardens neighborhood of Mobile. The picture was well focused on the revolver. Whoever took the picture did a good job. School officials and police have identified the people in the picture. 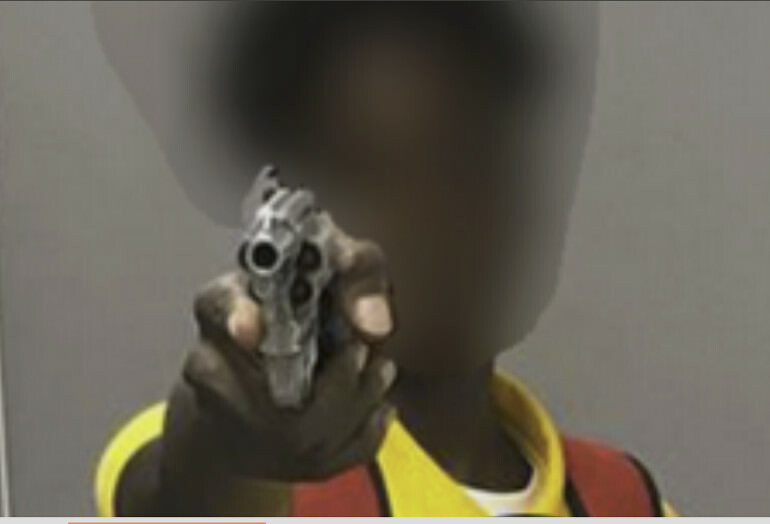 The student who was holding the revolver is no longer a student in the Mobil Public Schools. Because the picture is well focused, several interesting details are apparent. The revolver appears to be a high quality, if well used, Smith & Wesson model 36. We cannot be absolutely certain, as this common and well thought of revolver has been widely copied throughout the world. The odds are it is a genuine Smith & Wesson, however. The revolver is loaded. Look at the chambers of the revolver cylinder on the left as you look at the picture. Peering into the chambers, you see the glimmer of bullets in the two chambers, indicating the revolver was loaded at the time of the picture. The student who is holding the revolver is observing some basic safety precautions. He is not pointing the revolver directly at the person with the camera, thus observing two of the basic safety rules. 1. Do not point a firearm at anything you are not willing to destroy. 2. Know your target and what is beyond your target. He is following a third safety rule as well. His trigger finger is outside of the trigger guard. There are prominent signs outside the school informing people that the school is a "gun free zone". Clearly, such signs did not dissuade the young man in the picture from taking a revolver to the school. I doubt that imposition of costly metal detectors at some entrances will make much difference either. Taxpayers will not be well served by purchasing metal detectors and paying for the necessary armed security to man the detectors whenever school is in session, and anytime anyone has access to the schools. Such measures are only effective if they are enforced rigorously. If they are not, the children (or inmates, in effect) are quick to learn the vulnerabilities of the system and to find ways to circumvent them. For example, keeping a gun hidden inside the school, after bringing it in at an entrance that is briefly not monitored. My friend Roy Eykamp informed me of a time he and/or a friend brought a revolver to a one room school in South Dakota around 1930. The teacher discovered they had the revolver and asked what the purpose was. The boys said they intended to shoot gophers during lunch hour. A bounty was paid for gophers by the county. The teacher instructed them to follow the safety rules, and allowed them to keep possession of the revolver. Roy was about 12 at the time. Today, things have changed, and no always for the better. Parents are much more removed from the management of the schools. Legislation and regulation has taken away much parental and teacher responsibility. Schools and parents would be better served by teaching and enforcing discipline and ethical norms. Teaching students that the "system" or the "man" are stacked against them works in exactly the opposite manner, encouraging them to game the system or ignore the rules. 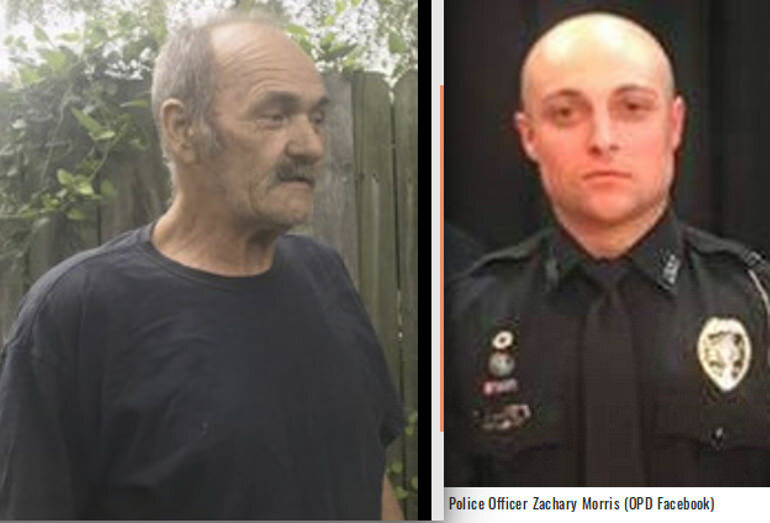 EDWARDSVILLE — A man whose associate was shot and killed by the Vietnam War veteran the duo attempted to rob was sentenced Monday to 25 years in prison, liable for his partner’s death by self-defense at the hands of the 70-year-old, would-be victim. SAN ANTONIO - San Antonio police were called to a far East Side home after a man turned a gun on his son, shooting him in the leg in an apparent act of self-defense. If the incident is ruled a matter of justifiable homicide, it would the first time since 2015 a Bonner County has had to resort to lethal force to protect themselves. Bonner County Prosecutor Louis Marshall concluded that a woman who was subject to a protracted domestic attack in Edgemere was justified in shooting Scott Spangler, 55, to death. Part of the incident was documented in an open-line 911 that was placed during the incident. Three people were shot and one of them was killed in a struggle over a gun in southeast Atlanta on Sunday afternoon, according to police. No charges will be filed in the case, Atlanta police spokesman Officer Jarius Daugherty said Tuesday afternoon. The incident has officially been classified as a “Felon Killed By A Private Citizen,” police said. The shooting happened about 1:45 p.m. at a home in the 3200 block of Donnebrook Lane being used as a rooming house, Atlanta police said after a preliminary investigation. The right of the people to bear arms in defense of themselves and the lawful authority of the State, shall not be infringed, but the Legislature may prescribe the manner in which they may be borne. We may live in South Florida, but this ain’t the South. That’s Tallahassee, Jacksonville, Ocala, Pensacola and all those parts of the state where the culture and the politics have turned Florida into the “Gunshine State.” If Palm Beach, Broward and Miami-Dade counties ran the Legislature and elected governors, the state likely wouldn’t have that reputation. But even after the new constitution in 1968 supposedly broke North Florida’s chokehold on power, this state has been the Deep South when it comes to the Second Amendment. Eventually, the gun laws meant to keep black people disarmed were used against the majority of people in Florida. Floridians could not bear arms without a permit, which was often denied for spurious and political reasons. The laws varied enormously city to city, county to county. No ordinary person could be sure they were bearing arms legally if they crossed the street. It began dramatically in 1987. The Legislature prohibited counties and cities from enacting firearms regulation and made Florida the first state that allowed residents to carry concealed weapons. For the next three decades, having laid down that marker, National Rifle Association lobbyist Marion Hammer rarely lost. Florida was not "the first state that allowed residents to carry concealed weapons". Eight states had "shall issue" concealed carry permits in 1986. They were Maine, New Hampshire, Indiana, Alabama, Connecticut, North Dakota, South Dakota, and Washington. Vermont had Constitutional Carry. Vermont never required a permit to carry firearms, concealed or openly. Only one of those states, Alabama, is in the South. Florida is hardly an exemplar of Second Amendment freedoms. Florida is one of only five states that ban the open carry of handguns in most public places. Fourteen states do not require a permit for either open carry or concealed carry. Schultz claims the Pulse nightclub mass murderer had a concealed carry permit. The mass murderer did not have a concealed carry permit. He had a security guard license, and a statewide firearms license. Much of Schultz article is a tribute to the success of Marion Hammer as a lobbyist. Marion Hammer is a lobbyist of the first water. But Hammer could not have accomplished the reforms of restrictive Florida gun laws without widespread voter support. Finally, Scott signed legislation that punishes—through fines and possible removal from office—county or city elected officials whom the NRA or any other party believes is trying to get around that ban on local firearms regulation. (c) If the court determines that a violation was knowing and willful, the court shall assess a civil fine of up to $5,000 against the elected or appointed local government official or officials or administrative agency head under whose jurisdiction the violation occurred. (d) Except as required by applicable law, public funds may not be used to defend or reimburse the unlawful conduct of any person found to have knowingly and willfully violated this section. Officials may not be punished unless they are found to have willfully violated the statute in a court of law. The incremental reforms in the Florida legislature have resulted from a widespread desire to restore Second Amendment rights in Florida. Second Amendment rights were first taken from freed slaves. Then they were taken from citizens that did not have political connections. 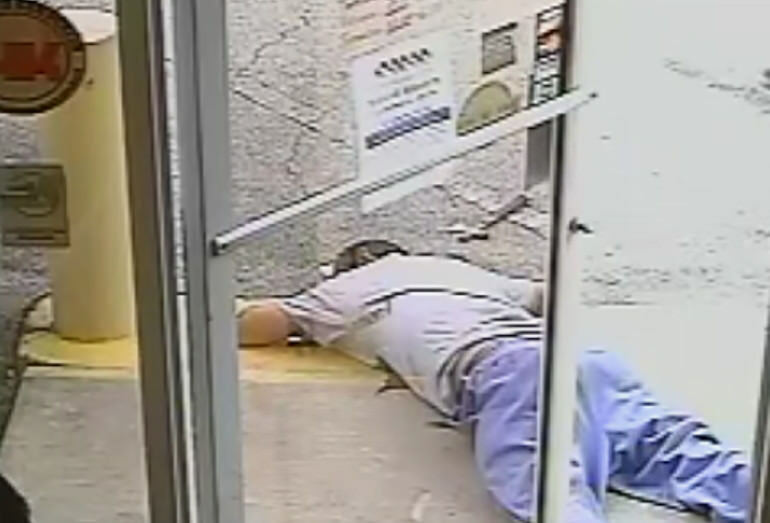 But approximately one third of Florida “Stand Your Ground” claims in fatal cases have been made by black defendants, and they have used the defense successfully 55 percent of the time, at the same rate as the population at large and at a higher rate than white defendants, according to a Daily Caller analysis of a database maintained by the Tampa Bay Times. Additionally, the majority of victims in Florida “Stand Your Ground” cases have been white. Schultz would do well to read some history of Florida before 1987. Gun control laws have a long racist history. Florida is part of the South, and always will be. The South is restoring Second Amendment rights that were denied to freed slaves. All southern states except for Maryland, now have shall issue concealed carry laws. Mississippi is a Constitutional Carry state. Only South Carolina and Florida ban open carry in the South. The urban politicians in Florida will not be able to keep Florida from restoring open carry (banned in 1987) forever. A comment at bocamag.com, showing errors in the article, has been removed. OREM, Utah, Oct. 15, 2018 (Gephardt Daily) — A burglary suspect who was shot multiple times Monday morning by an Orem homeowner has died in the hospital. The man was rushed to Sparks Hospital in Fort Smith after being shot in the chest, according to investigators. The Sequoyah County Sheriff said the woman had a protection order against the man and there is a domestic violence history between the two. NEW ORLEANS (AP) - New Orleans police say a man who tried to set a woman's house on fire has been shot. Botti said the teen and his parents were coming home from a family gathering when the argument started. The father had been drinking and allegedly began choking his 49-year-old wife at the home. The boy then shot the father, and called police, Botti said. It is the season for bear attacks. Bears are very active in the fall, when they must accumulate enough calories to lard up for hibernation. At the same time, human hunters are out and about, hunting all game animals, putting human hunters in the same areas with heavy bear populations. In the last month, there have been several bear attacks in the news. On 9 September, Dr. Brad Johnson was attacked and severely mauled. He had bear spray in his hand. He was attacked by two bears and was not able to use the spray. He almost died. His two companions saved his life with first aid. The bears were never pursued or found. They are thought to have been grizzly bears. On 14 September, bow hunter Corey Chubon and Guide Mark Uptain were attacked as they processed a trophy elk in Wyoming. Chubon was mauled and Mark Uptain was killed. Bear spray proved ineffective. A Glock pistol was not used because it was yards away, and Chubon did not know how to use it. On 24 September a bow hunter who bagged a moose on the Blackfeet Indian reservation in Montana used a pistol to stop a grizzly bear attack there. On 26 September, a bow hunter successfully used a pistol to defend himself a sow grizzly bear and a grown cub in Montana. On 29 September, a Tye Carlson, a bear hunter, was mauled by a 350 pound boar black bear in northern Wisconsin. Dogs that were pursuing the bear arrived. Carlson was able to retrieve his firearm and shoot the bear. The bear attacked Carlson again, until another hunter arrived and finished off the bear. On 1 October, 18-year-old Anthony Montoya was killed by a grizzly sow and two nearly grown cubs, near the Hecla Greens Creek Mine in southern Alaska. Montoya reportedly had bear spray, but it was not found at the scene. The three grizzlys were killed at the remote site by Montoya's companions. The bears had fed on Montoya's body, only 35 yards from the group of people he was with. The drill site is reported to be noisy. The forest can be extremely dense in southern Alaska. On 2 October, a hunting guide shot a bear that was charging three hunters and their horses. The bear attack occurred on the South Fork of the Shoshone River in northern Wyoming. Bear attacks are relatively rare, but in bear country, they are more common than being hit by lightning. Over the last 40 years, the bear population, both grizzly and black bears, has soared in the United States. As the bear population has increased, so have bear attacks. Grizzly bears have a high incident of attacks on humans and their property, considering their limited numbers. Grizzly bears have been strictly protected for the last 43 years in the lower 48 states. Black bears are many times as numerous as grizzly bears. Estimates for grizzly bears in the lower 48 are about 1,500. Black bears are about 450,000. Both numbers are imprecise, but there are about 300 black bears for every grizzly in the lower 48. There are about the same number of fatal bear attacks for black bears and grizzly bears. Black bears are legally hunted in most states where they are found. If you see a bear, and it does not run from you, consider yourself at risk. Most black bear attacks are predatory attacks, where the bear sees humans as a potential food source. In predatory black bear attacks, humans often see the bear with plenty of time to access weapons and defend themselves, if they have a weapon available. 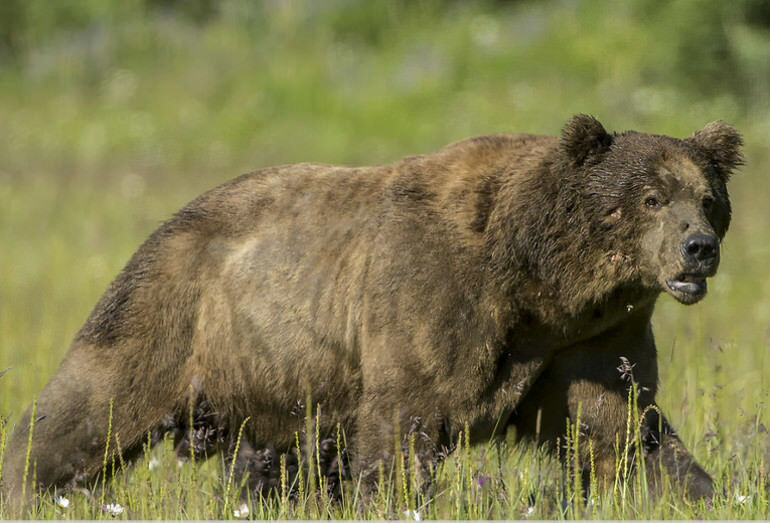 Grizzly bears are such aggressive top-end predators they should always be seen as high risk. 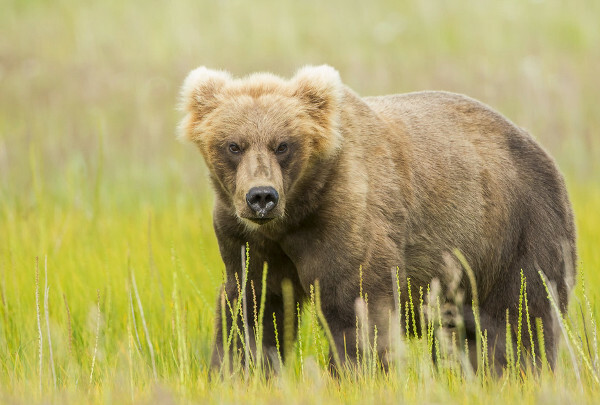 A majority of grizzly attacks do not appear to be predatory, but involve aggressive attacks over territory, food supplies, cubs or other reasons. Grizzly bears do not need a human rational to attack. While bear spray has been touted as the best way to stop bear attacks, the common comparisons from studies of bear spray and firearm defenses are not legitimate science. Different criteria are used in the different studies. The authors refuse to release the data the studies are based on. There have been notable failures of both firearms and bear spray. Surprisingly, pistols have been used to stop bear attacks with considerable success. There are reasons people prefer bear spray to pistols. People who are not familiar with firearms, for example, are better off with bear spay than without any defense. There are places pistols are forbidden for most people to carry, by law, such as Canada, California, or New Jersey. There are plenty of bears in all three places. The primary reason to prefer bear spray is to prevent bears from being killed. The problem with this approach is a bear that shows little fear of humans has shown itself to be a much higher risk to people than most bears. As a matter of policy, bears that lack fear of people should be (and mostly are) killed. The relatively small number of bears killed as threats to humans has no significant effect on bear populations. Even the extreme number of aggressive grizzly bears killed to protect people in the Greater Yellowstone Ecosystem (GYE), (35, or about 5% in 2017) has not prevented the grizzly population from expanding. Bear populations have to be limited to prevent unacceptable levels of risk to humans and human property. The only question is: what level of bear populations are acceptable? Bears will not limit their own populations. Bear populations will expand as long as there is a sufficient food supply and habitat. That food supply includes human crops, human livestock, and (rarely, in the last hundred years) humans. People who do not live with bears are willing to accept much higher bear populations than people who do.